The 10 Best Educational Activities for Children in Mississippi! Kids love to play, and they love to learn. What better way to occupy their time than to let them do both at the same time? Whether you're looking for a trip to the museum or a day in a discovery center, these are our picks for the top 10 educational activities for children in Mississippi. Who wouldn't love to spend a few days out in the open water? There are several boat-based camps offered by organizations in southern Mississippi, but one of the most popular is the Sea Camp organized by USM's Gulf Coast Research Laboratory. This day camp has been running for 30 years and allows students to set sail and learn about marine biology and our local ecosystem. Kids don't need much of an excuse to enjoy the Children's Museum in Jackson. There are always exhibits to enjoy while learning about science, math, art, and so much more. 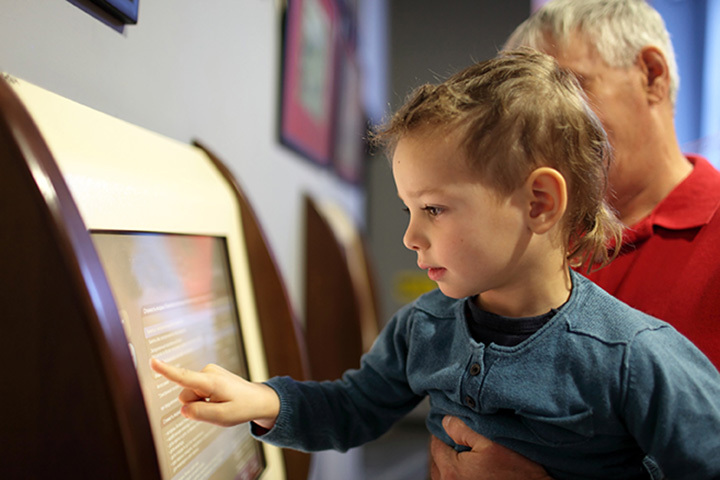 However, the museum offers regular events that provide a more targeted educational experience, like Tinker With Tuesday, which teaches STEM principles in a fun setting. Lynn Meadows Discovery Center is a wonderful spot for children to climb, play, and learn. In addition to their permanent exhibits, they also provide special programs and summer camps which teach kids about art, invention, cooking, and more. For a messy and fun learning experience, consider Slime Science, a five day camp which focuses on science projects all about slime! Let children see the universe in a whole new way. The Russell C. Davis Planetarium in Jackson is one of the largest planetariums in the U.S. They've been open for over 40 years, and they have spectacular shows which explore different planets, the moon, black holes, and our place in the solar system. This one will be fun for the whole family! A trip to the U.S.S. Cairo will be one that kids will never forget. A tour aboard the gunboat will teach them about the Mississippi River's role in the Civil War as well as the history of naval ships, all in a hands-on and impressive setting. Museum displays include artifacts used in daily life on the ship, including meal times, medical equipment, weapons, and tools. A trip to the zoo is one of the most engaging and educational experiences available for a child. At the Jackson Zoo, kids can see animals from all over the world, learning interesting trivia about what the animals eat and their natural habitats. For a more immersive experience, consider an after-hours trip. Groups of 15 or more can even stay overnight for a Slumber Safari! The Crosby Arboretum is a conservatory of native plants in Picayune, Mississippi. They have dedicated hundreds of acres to preserving our local ecosystem and educating the public about our environment. Children will especially enjoy the carnivorous pitcher plant bogs in the South Savanna Exhibit. Check the calendar for the annual Bugfest in September, for fun with all things insect! At the African American Military History Museum, children have an opportunity to learn about the important role played by people of color throughout our nation's military history. Kids will love the Buffalo Soldiers exhibit, where they can climb on top of a horse and imagine themselves to be part of the patrol, as well as the World War II exhibit where they can sit behind the wheel of a real army truck. At the Mississippi Museum of Natural Science in Jackson, children can come face-to-face with animals, fish, and fossils to learn more about the natural world. Thanks to the Preschool Discovery Room, even very young children can enjoy the visit. Stop in on Saturdays for Creature Features, an interactive learning experience where kids can learn more about a particular animal. Do you have a little astronaut-to-be in your family? NASA's INFINITY Science Center is the perfect destination to learn about space exploration. From the history of space travel to cutting-edge advances in rocketry, INFINITY is packed with informative and fun exhibits. In addition, they offer summer camps, monthly themes, and special events, so check the calendar!